UHM! It’s November. WHOA. As I type this there is heavy snow falling, so you don’t have to convince me that it’s getting later in the year…but it is still hard to believe! Last week was unbelievably busy and stressful. But…here are eats! 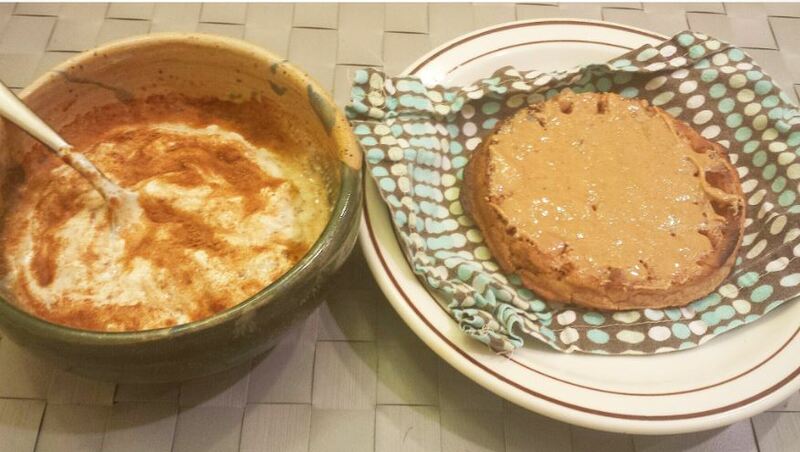 Breakfast: A gluten free apple cinnamon waffle with peanut butter and yogurt with cinnamon and coconut sugar. You may wonder why my waffle is on a napkin. I hateee soggy waffles. The napkin helps it get less-soggy on the plate. Lunch: Okay. Last Wednesday we had an education fair at work – so I presented the entire day. I ate snacks at the fair (veggies, nuts, ..uhm…candy!) and was certainly not-satisfied. I was freaking overwhelmingly hungry. 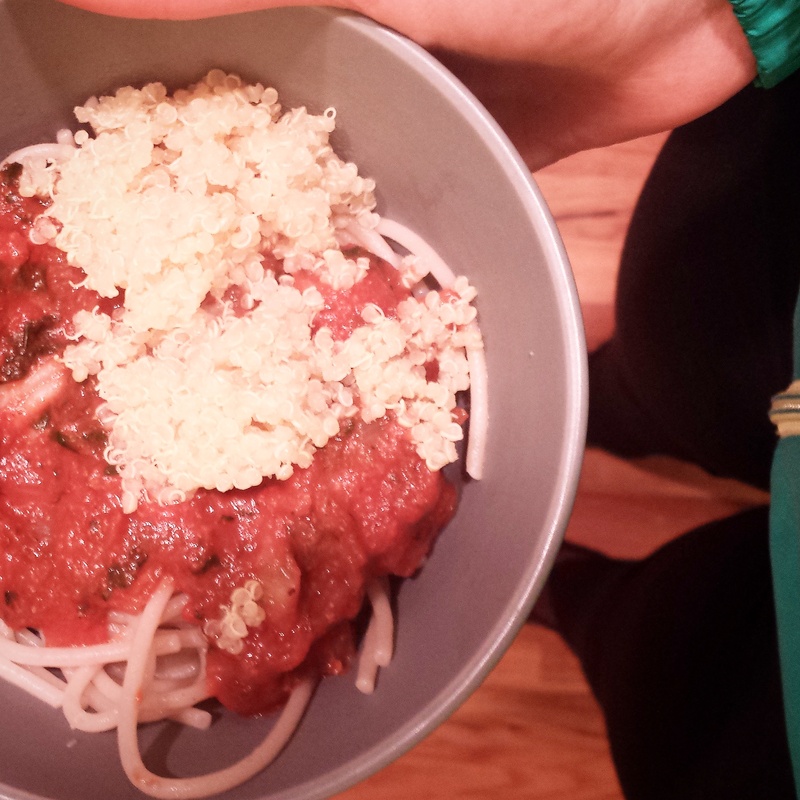 This is gluten free noodles and marinara sauce and quinoa. Oh. And you’ll notice I still have my jacket on. Because I was so hungry that I didn’t take it off. Oy food. You’re soo important! Do you feel terrible when you don’t eat?! Yeah. I DO!! Alright guys – on to tomorrow…I’ll see you back for Thinking Out Loud Thursday!